P.F. Chang’s, an Arizona-based chain of Asian-themed sit-down restaurants, is the subject of acquisition talks, according to a report. The ostensible sale would pass ownership of the company from one New York private equity firm to another for as much as $700 million. The prospective acquirer, according to reports, is TriArtisan Capital Partners, a New York-based private equity firm whose investment portfolio includes companies like TGI Fridays, Sur La Table and Paper Source. P.F. Chang’s current owner, Centerbridge Partners, counts companies like BankUnited, Culligan Water and Great Wolf Lodge among its current investments. TriArtisan and P.F. Chang’s did not respond to inquiries, while Centerbridge declined to comment. The 25-year-old brand, which operates some 214 locations in the United States and franchises nearly 100 more in 24 other countries, was acquired by Centerbridge in 2012 along with Pei Wei Asian Diner—its then subsidiary—in a deal valued at $1.1 billion. Centerbridge subsequently split the two companies. In 2017, P.F. 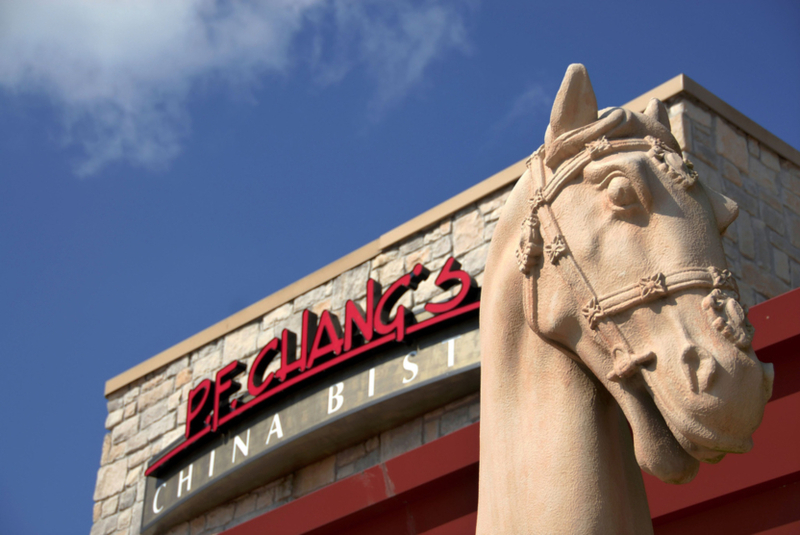 Chang’s network of restaurants generated nearly $913 million in revenue, according to Nation’s Restaurant News—a modest increase over the prior year. In the spring of 2018, Moody’s Investor Services and S&P downgraded P.F. Chang’s credit rating due to a lack of liquidity and a high debt-to-earnings ratio. Centerbridge announced this past June that it would be putting P.F. Chang’s on the auction block, and retained BofA Merrill Lynch and Barclay’s to help find a buyer. “Given the positive performance of P.F. Chang’s Bistro and having received multiple unsolicited indications of interest, this is an exciting time to explore a sale,” said Steve Silver, global co-head of private equity at Centerbridge, as part of the announcement. According to veteran restaurant industry watcher Roger Lipton, of Lipton Financial Services, a private equity acquirer like TriArtisan Capital can squeeze a greater return out of a restaurant network like P.F. Chang’s by converting its company-owned locations to franchises, deriving revenue through the sales, then collecting monthly royalty payments from new franchisees. One potential speed bump to such a strategy would be that some of the locations may not have sales results attractive enough for many franchisees. “Not every store is generating 15% or 16% EBITDA,” says Lipton. Some locations, he added, may also need capital improvements before being sold, adding another layer of investment.